The spacecraft was snapped as it passed over Australia, and the photograph was taken during a very slow rotation by Beresheet. The Israeli spacecraft, built in an IAI factory, is in an elliptical orbit around Earth - its greatest distance from Earth at this stage is some 131,000 kilometers. 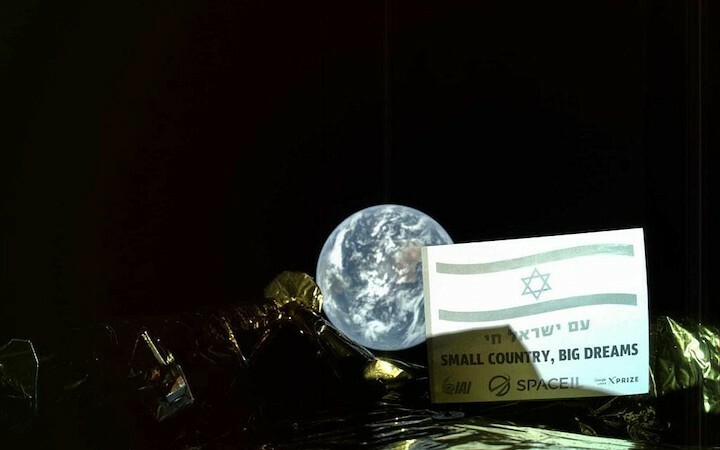 SpaceIL and Israel Aerospace Industries (IAI) on Tuesday released a selfie taken by the Israeli spacecraft "Beresheet" (Genesis), which is scheduled to land on the moon on April 11. Beresheet was launched from Cape Canaveral on February 22 at 3:45 am. It is scheduled to land on the moon a week after it is supposed to be "trapped" in the moon's orbit. Last Thursday, the spacecraft successfully performed a maneuver to send it into elliptical orbit around the Earth, where its furthest point from home is 131,000 km, after a previous attempt to do so failed when its computer system unexpectedly rebooted. Israel Aerospace Industries (IAI) and SpaceIL said after the completion of the maneuver that Beresheet's main engine was activated for about four minutes. The next maneuver is set to take place later in the week. Israel’s Beresheet spacecraft transmitted home its first images on Tuesday as it continues its historic journey to the Moon. 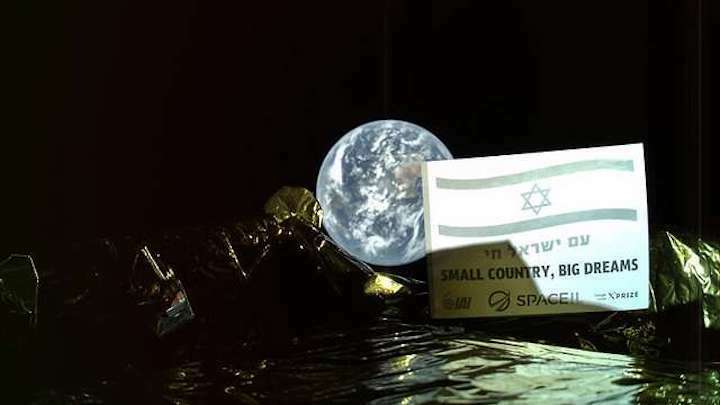 From 37,600 kilometers (23,364 miles) above the Earth, the Israeli spacecraft transmit home a photo of its mounted plaque which features the Israeli flag and the inscriptions “Am Israel Hai” (or “The Jewish People Live”) and in English, “Small Country Big Dreams”. Earth, and more specifically the continent of Australia, is visible in the background of the photo. Israel’s Beresheet lunar probe was launched into orbit by SpaceIL and Israel Aerospace Industries (IAI) on February 21 from into orbit from the Kennedy Space Center in Cape Canaveral, Florida. It set to touch down on the moon on April 11, which will make Israel only the fourth country (after the US, Russia and China) to land a spacecraft on the celestial body. The Israeli journey to the moon has not been without its hiccups. On March 1, SpaceIL said it had successfully completed a key maneuver after experiencing a troublesome system glitch several days before. The maneuver involved activating the spacecraft’s primary engine for about four minutes, effectively sending it into a new orbit at 131,000 kilometers (81,400 miles) from earth. Beresheet will make its 6.5-million kilometer (one million-mile) journey at a maximum speed of 10 kilometers per second (36,000 kilometers per hour), according to an IAI statement. The mission added a time capsule to the spacecraft containing Israeli national, cultural and traditional symbols such as the flag, the Israeli Declaration of Independence, Hebrew songs, paintings by Israeli children, and a booklet written by a Jewish man of his personal account of the Holocaust. With no plans to return to Earth, both the time capsule and spacecraft will remain on the moon indefinitely after the completion of the Israeli lunar mission, which aims to measure the lunar magnetic field to help understanding of the moon's formation. The cost of the project is some $95 million (84 million euros), with private philanthropists providing funding. NASA, which has installed equipment on Beresheet to upload its signals from the moon, said last week it aims to land an unmanned vehicle there by 2024, and it is inviting private sector bids to build the US probe. NASA plans to build a small space station, dubbed Gateway, in the moon's orbit by 2026. It will serve as a way-station for trips to and from the lunar surface, but will not be permanently crewed. The Israeli lunar lander Beresheet, which launched to Earth orbit on Feb. 21, performed a 60-second engine firing on March 19 to get closer to the moon. Beresheet is scheduled to land on Earth's nearest neighbor on April 11. Israel's first lunar lander has managed to get itself out to the moon's neighborhood. 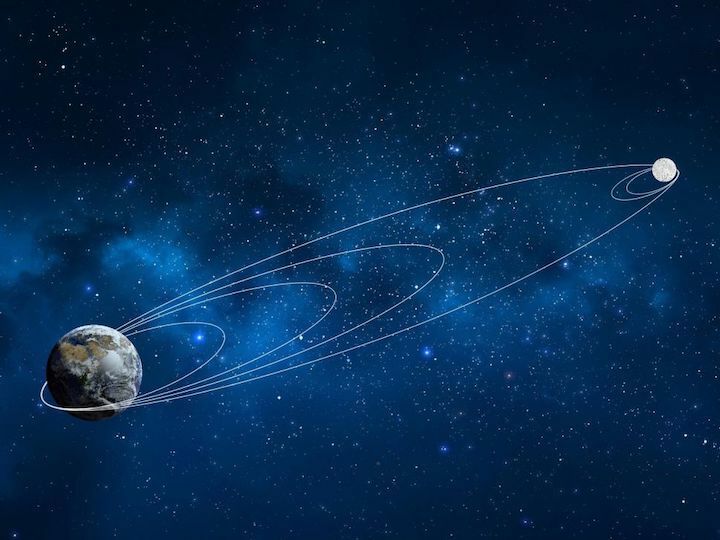 The robotic spacecraft, known as Beresheet, fired its main engine for about 60 seconds in Earth orbit today (March 19), project team members said. The maneuver raised Beresheet's orbit substantially, pushing its apogee, or farthest point from Earth, out to 251,655 miles (405,000 kilometers). "We are on the way to the moon very successfully right now," Doron added. The mission team will perform a few smaller maneuvers over the coming days to tweak Beresheet's elliptical path slightly, he said. But the lander remains on course to be captured into orbit around the moon on April 4, and to land on April 11. That will be a historic touchdown. To date, only three superpowers — the Soviet Union, the United States and China — have managed to land a spacecraft softly on the moon. And Beresheet is doing things on the cheap; the mission's total cost, including launch, is about $100 million, team members have said. Beresheet (whose name means "in the beginning" in Hebrew) began as an entrant in the $30 million Google Lunar X Prize competition, which challenged privately funded teams to land a robot on the moon and perform a few tasks there. The contest ended in March 2018 without a winner, but SpaceIL and IAI continued to work on their lander, as did some other former entrants. The 5-foot-tall (1.5 meters) Beresheet will gather some science data on and around the moon, but its main goal is to advance Israel's space program and spark young people's interest in science, technology, engineering and math. Beresheet has encountered a few problems since its Feb. 21 launch atop a SpaceX Falcon 9 rocket. 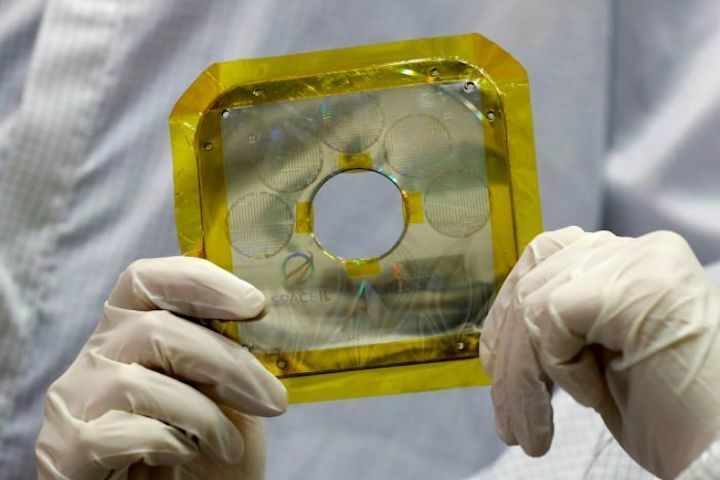 For example, the mission team found that the spacecraft's star trackers, which are crucial for navigation, are surprisingly susceptible to blinding by solar radiation. And Beresheet suffered an unexpected computer reset last month, which pushed a planned engine firing back a few days. But Beresheet has powered its way through such issues to date. A robotic lander in space just shot an astounding video of lunar sunrise as it zooms toward the moon. The Israeli Beresheet lander, which launched into space in February, transmitted a video back to Earth showing the sunrise — as well as a second video showing the legs popping out of the lander in what was probably a test exercise. SpaceIL, the organization planning to land this machine on the moon, will likely use these videos to calibrate its videos and equipment ahead of the epic landing, but for the public, these vistas are literally out of this world. 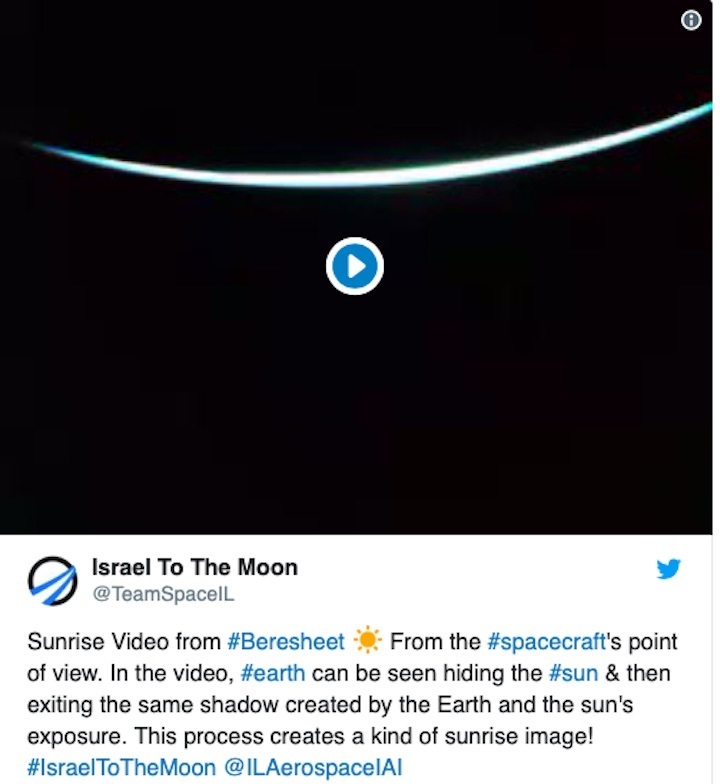 "Sunrise video from #Beresheet," SpaceIL said on Twitter, posting an emoji of a sun along with the organization's comments. "From the #spacecraft's point of view. In the video, #earth can be seen hiding the #sun & then exiting the same shadow created by the Earth and the sun's exposure. This process creates a kind of sunrise image!" Beresheet has a long history behind it. 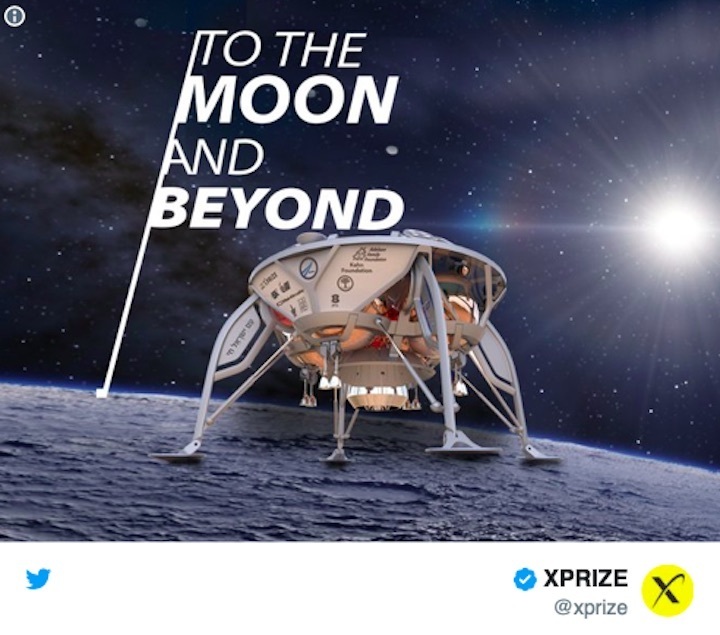 SpaceIL was one of the entrants for the Google Lunar X Prize that was supposed to land the first commercially funded spacecraft on the moon. The contest concluded with nobody claiming the prizebefore the deadline. But Beresheet's development persisted, culminating in a safe liftoff aboard a SpaceX Falcon 9 rocket. Initially, the mission ran into a snag in space when an engine did not fire as it was supposed to, to send the spacecraft to the moon. But Beresheet recovered from the glitch; after computer resets and other troubleshooting, the engine fired as planned on Feb. 28. Beresheet touchdown set to make history as the first privately-funded craft to land on the moon. 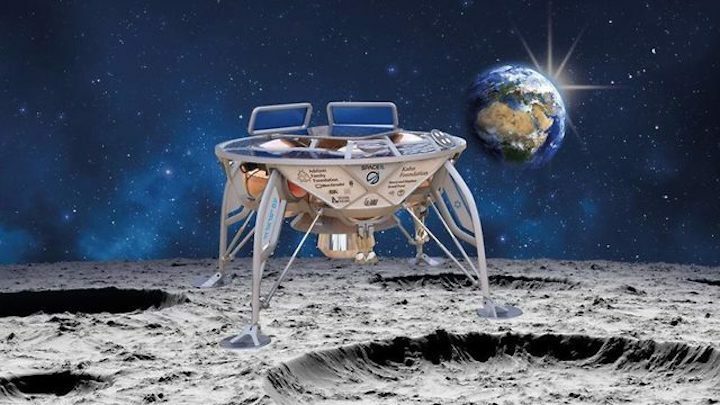 The XPrize Foundation announced on Thursday that it will grant a $1 million “Moonshot” award to the Israeli nonprofit SpaceIL if its lander Beresheet successfully touches down on the moon's surface.